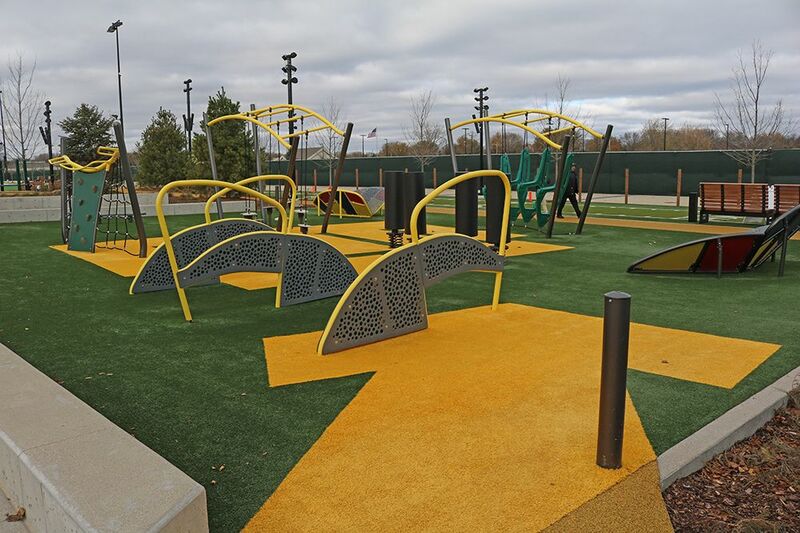 Titletown District is officially open and features Wisconsin's first Challenge Course. Titletown District is a nearly 45-acre development located near Lambeau Field in Green Bay, Wisconsin. In addition to the Challenge Course and 40 yard dash, the plaza features a snow tubing hill, ice skating pond, football field, horseshoes, shuffleboard, and more recreational activities. Challenge Course is GameTime's exclusive response to the fastest growing trend in outdoor recreation, obstacle courses. 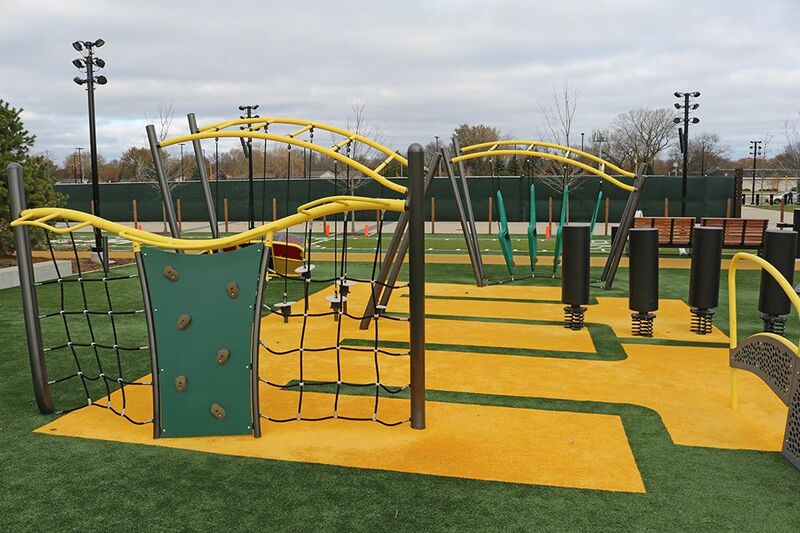 Available in six configurations, Challenge Course meets the needs of children and adults alike. Challenge Course is an outdoor fitness destination that connects people of all ages and backgrounds to socialize with their family and friends while getting more fit. Green Bay has accepted the challenge. Is your community next?